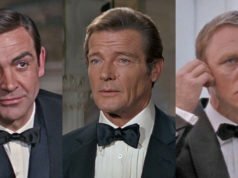 Around the corner from Pall Mall on St James’s Street in the London district of St James’s are two stores associated with the first Bond films. 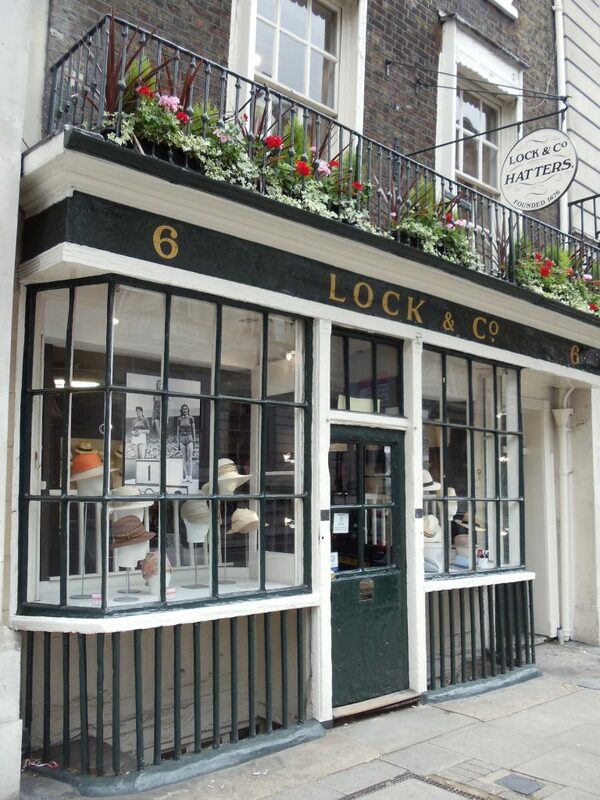 The first is Lock & Co. Hatters, where Sean Connery got his trilby in Dr. No. The closest hat they have to what Connery wore is the Sandown model, and no matter what colour it looks in the film they insist it was brown. The hat in the shop did not look to be the same brown as in Dr. No, but on-screen colours can be deceiving. Lock & Co. is known for it’s trilby hats, “coke” (bowler) hats and vintage, refurbished silk top hats, which are nobody is able to produce anymore. They also have a large selection of American-style fedoras and tweed hats and caps. 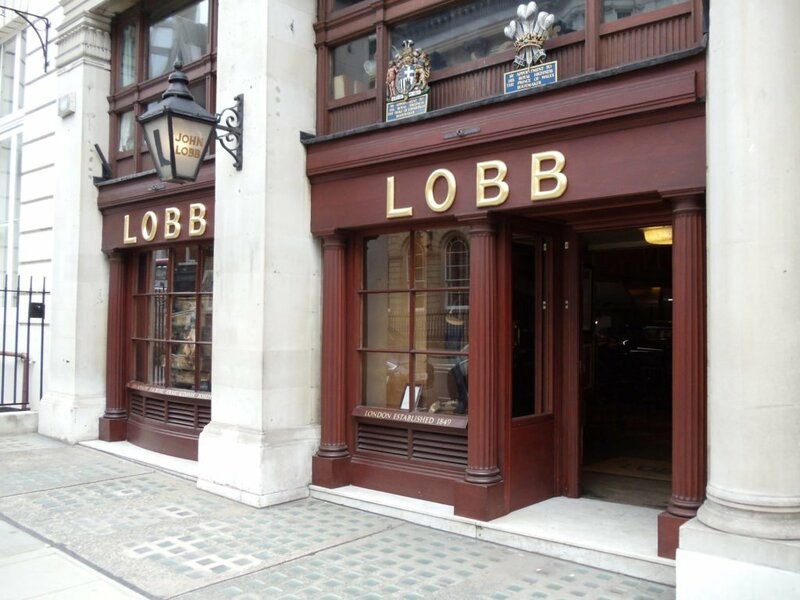 The other St James’s Street shop is John Lobb Ltd., a family-run bespoke shoemaker to royalty and is rumoured to have made Sean Connery’s shoes for the early Bond films. They do the work on the premises, and the shop is like a museum. Craftsmen work right in the front of the shop, using old-fashioned methods and working with vintage machines as well as their hands. They have separate people who each specialise in their own craft, whether it be last-making, lasting, stitching, dyeing, etc. The wall to the right when you walk in is lined with countless unique examples of the shoes they produce, but they can make just about any style. 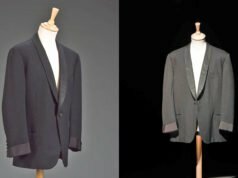 Though most people would never consider spending so much money on bespoke shoes (their price is in line with the most expensive of bespoke suits), it’s a wonderful place to visit just to see one of the few makers left who do it the old way. John Lobb Ltd. is not to be confused with John Lobb Paris, which has been owned by Hermes since 1976. Yes, but that’s John Lobb Paris, which has been a completely separate company since 1976. And before that all they shared was ownership. The store on St James’s Street has closed down, and they will soon be opening a new location in London. I also try to limit this blog to clothes, since accessories like briefcases and watches have already been written about by so many other people and I can’t add anything new. Your blog is the first to showcase all of these tailor shops and accessories stores. Don’t stop with it, your on to something Matt. Great job! 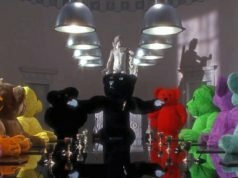 According to the “The Making of On Her Majesty’s Secret Service” book, the riding boots worn by Lazenby were made by Lobb St James. I heard that too, and also that he wanted them made with zippers on the sides, something Lobb refused to make!